The estimated cost of a for series of ballistic missile defense batteries in Eastern Europe and Hawaii have doubled, according to an April report from the Government Accountability Office. 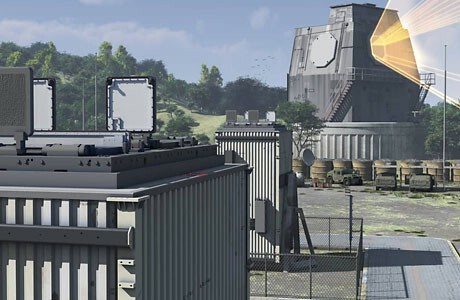 Two Missile Defense Agency Aegis Ashore installations, billed as a relatively inexpensive ground–based BMD platform, has grown in cost from $813 million to $1.6 billion for a forward deployed battery in Romania and a test battery in Hawaii, according to the GAO report. The GAO found the cost estimates shifted due to changing requirements and additional resources applies to the program as found in the February 2012 Ballistic Missile Defense System Accountability Report. A spokesman for MDA decline to comment on the GAO’s findings to USNI News. MDA director Vice Adm. James Syring is expected to testify before Congress next week and will likely address the reports findings, the spokesman said. The cost change was part of a larger report on the MDA’s $90 billion effort – begun in 2002 — to create a ballistic missile defense network. The primary thrust for the BMD network has been focused in Europe, as part of the Obama administration’s Phased Adaptive Approach to BMD that relies on Aegis BMD equipped cruisers and destroyers to dispatch rogue missiles. The plan also includes two Aegis Ashore batteries, one in Romania scheduled to deploy in 2015 and a second in Poland to deploy in 2018. Aegis Ashore is based on the same missile and radar systems used aboard U.S. Navy guided missile destroyers and cruisers. The system pairs a SPY-1 radar with SM-3 missiles for the land-based BMD role.